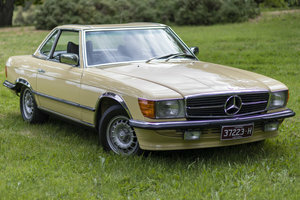 This is an extremely rare Mercedes 350 SL 1980, which means it will always have a higher appreciation. Nice solid Mercedes. In Mercedes Red, No Rust what so ever, fully undersealed, Will Be sold have 12 months MOT. It has the potential to enhance further.